Originally from Ireland, Kate joined Dutton Brock in 2018 after three years practising insurance defence law, as in-house staff counsel, with an international insurance company. 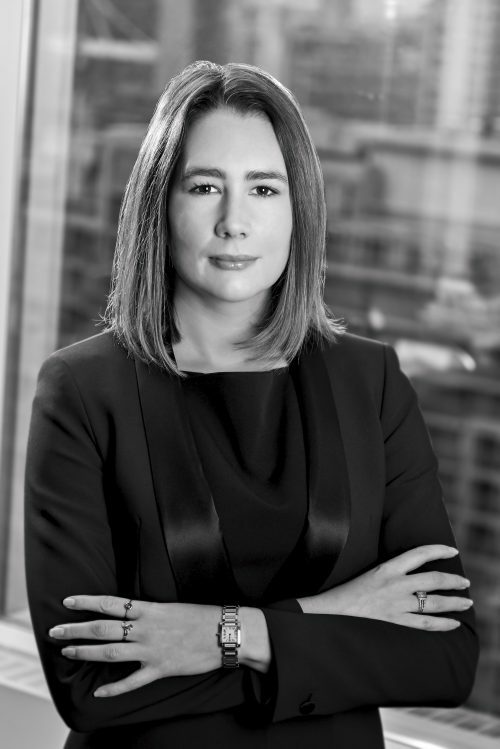 Prior to this, she worked at a well established plaintiff firm for several years, initially as a law clerk, then articling student, and following her call to the Bar, as an associate. Kate is developing a broad-based insurance defence practice, and has experience in accident benefits, auto bodily injury, commercial general liability and subrogated claims. She has a developing interest in construction litigation and coverage issues. Kate graduated from Dublin City University with Honours in Law and Economics in 2007. She completed the Final Examinations for Blackhall Place, the Law Society of Ireland in 2009. In 2013 she completed the National Committee on Accreditation Exams for the Federation of Law Societies of Canada. Kate was called to the Ontario Bar in January 2015.